In the past, a gluten-free diet meant that individuals had to subsist on rice, quinoa, and more rice. However, the increased popularity of gluten-free diets have spurred innovators and producers to develop a larger variety of products. Today, there are numerous brands making gluten-free goods. 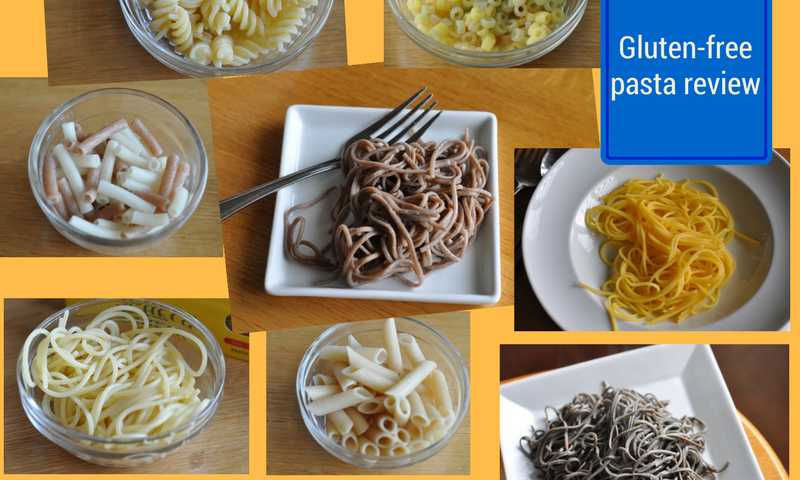 Even gluten-free pasta can be found in a myriad of shapes made from various gluten-free grains. We conducted an analysis of the taste, texture and nutritional content of ten varieties of gluten free pasta in our test kitchen. What is gluten-free pasta like? How close does it come to resembling pastas made from durum wheat with which we are more familiar? Many gluten-free pasta producers have made pasta with flour milled from a single grain. Among these varieties, rice, corn and buckwheat appear to be the most popular ingredients. Erawan brand rice-stick noodles are ubiquitous to many Asian cuisines, yet are quite easy to locate in your local mainstream grocery store. With their mild taste, they would act as a blank slate for the powerful flavors of a gluten-free Pad Thai or Vietnamese Pho. There is one drawback however – they contain no dietary fiber whatsoever. San Zenone corn pasta was also very enjoyable. The corn added a pleasant sweetness and an appealing golden hue to the noodles. However, this type of pasta may require a slightly longer cooking time than the label implies – the noodles were still a little too chewy when cooked for 8 minutes [this may be related to our higher altitude here in Calgary]. Rizopia manufactures noodles from white, brown and even wild rice, many varieties of which are organically grown. Their brown rice fettuccine is similar in flavor to the rice stick noodles, but has a slightly thicker weight. Brown rice flour is milled with the bran of the grain still attached, boosting the fiber to a moderate dose of 3 grams per 85g serving. Soba noodles are used in Japanese cuisine, and are popular for their higher protein content and nutty flavor. Although traditionally made from buckwheat flour, many available brands contain small amounts of wheat [make sure you check the package label to select those with gluten-free grains]. Soba noodles are by nature quite gummy and stick together easily – I recommend rinsing the cooked pasta and then immediately adding a sauce or dressing after cooking, to help prevent this from happening. We had very few complaints when testing the mixed grain pastas – it would be quite difficult to distinguish them from durum wheat pasta. Using a blend of flours with different characteristics allows manufacturers to achieve a more appealing texture as well as providing a wider variety of nutrients. Giovanni Panzani and Catelli Gluten Free fusilli were very similar in taste and texture. This is unsurprising, as they use a similar blend of rice, corn and quinoa. The blend of grains gives a texture very similar to wheat noodles with a comparable amount of fibre (3g per 85g serving). Solare penne uses a blend of brown rice, quinoa and amaranth, a seed popular for its high protein and fibre content. This adds an unexpected nuttiness similar to whole wheat pasta. This variety has the highest amount of fiber of all the mixed grain pastas that we reviewed, at 5g per serving. Some may find the nutty flavor overpowering – however, combining Solare penne with another gluten-free noodle you enjoy is a compromise that will help to add fiber to your meals. Gogo Quinoa uses a blend of rice flour and both white and red quinoa, making a colorfully tinted noodle. Although Gogo Quinoa has the most sodium per serving of all the mixed grain pastas, 10mg per 85g serving is still very minimal. The macaroni was very tender, and would be well suited to a creamy cheese sauce. 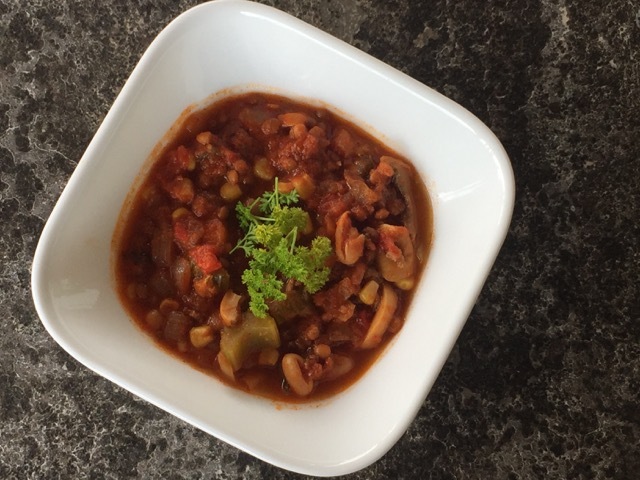 Gogo Quinoa also manufactures several shapes flavored with vegetable extracts – while they don’t noticeably impact the flavor, they do add an appealing pop of natural color to soups, casseroles, or other pasta dishes. Most gluten-free flours are manufactured from grains (such as corn or rice) or seeds (such as quinoa and amaranth). However, it is also possible to mill pulses – the dried edible seeds of legumes – to make flour and pasta. We tested two pasta varieties made from pulses, one from lentils and the other from black beans. Explore Asian’s black bean pasta is an unusual shade of black, turning a dark grey when cooked. Though fitting for a Halloween-themed banquet, the pasta’s appearance can be somewhat alarming as a part of a weekday dinner. However, after cooking the black bean pasta had a pleasant texture. The nutritional content was excellent – 39g protein and 19 g fiber per 85g dry weight serving – making it extremely satiating. 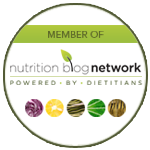 This nutritional profile helps to address the low fiber challenge that people living gluten-free experience. It’s still quite a thin noodle after cooking, and thus better used in with an Asian stir-fry or in a cold sesame noodle salad. Note that if adding an Asian dressing or sauce, to check the ingredient list for hidden sources of gluten. Wheat flour in Canada is fortified with folic acid, riboflavin, and thiamin – three essential B vitamins. However, many gluten free flours are not, creating another challenge for people living gluten-free. Lentils are naturally high in B vitamins, making Tolerant an excellent source of these important micronutrients. After cooking for 8-9 minutes, the noodles may be coated in an opaque film. This however, can easily be removed by rinsing it in a colander under warm water. The noodles do however have a strong lentil flavor – if you enjoy the flavor of lentils, this pasta is for you! Overall, most pastas had a very mild flavor that, when paired with a sauce or vinaigrette, would be difficult to detect from the more familiar wheat pasta. This was a pleasant surprise. These gluten-free pastas are useful not only for people living gluten-free, but also for people who need to diversify their choice of grain beyond just wheat, wheat and more wheat. 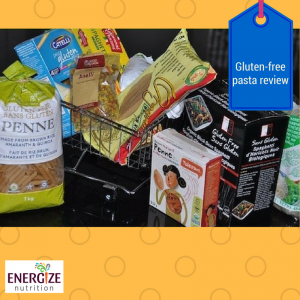 Our biggest complaint was that unlike durum wheat pasta, the flours from which gluten-free noodles are made are not fortified with essential B vitamins such as folate, riboflavin, and thiamin. However, by eating a variety of foods including legumes, nuts, seeds, leafy greens and lean proteins, you may be able to obtain these nutrients from other foods. 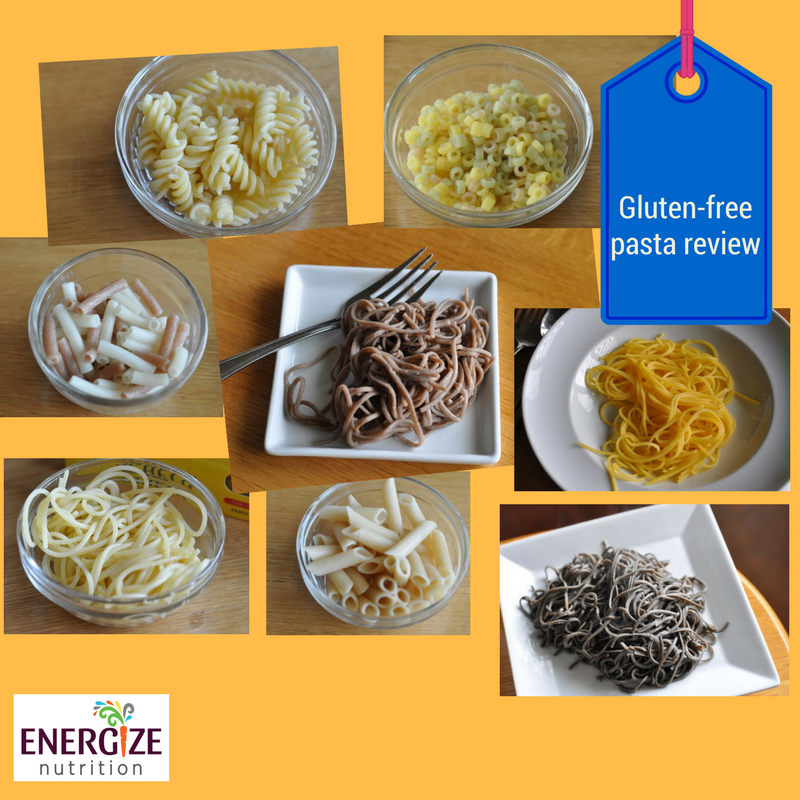 When choosing a gluten-free pasta, look for one that contains at least 3g of fiber per 85g serving. And balance our your nutrients by adding in a balance of nourishing, colorful foods in the dish you prepare. Originally written by Victoria Stowe, Dietetic Intern and BSc. Candidate and Kristyn Hall MSc, RD, Registered Nutritionist, Consulting Dietitian, Energize Nutrition, Calgary, Alberta.